Scroll below for photo gallery. NOTE: Scroll to the bottom to view the photo gallery. The superhero window washers returned to Akron Children’s Hospital today to the delight of children of all ages. 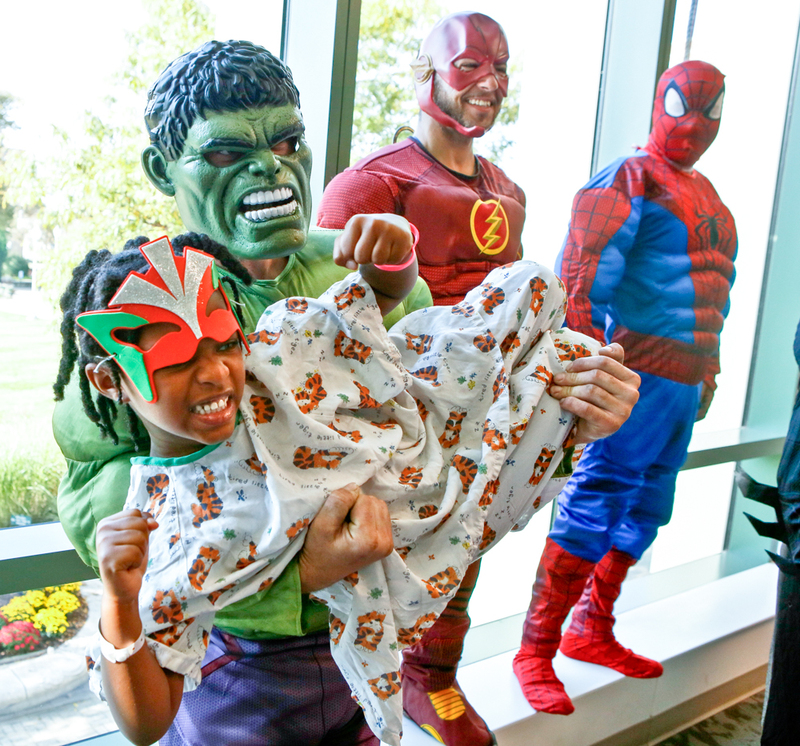 Following their 100-foot drop down the hospital’s front windows, the superheroes made their way to our atrium lobby to share a thumbs up and snap some pictures with the children and families in attendance. Sensing there were more children nearby in need of a superhero attention, they sped up to the clinics and inpatient units to visit patients who were unable to make it down to the lobby. 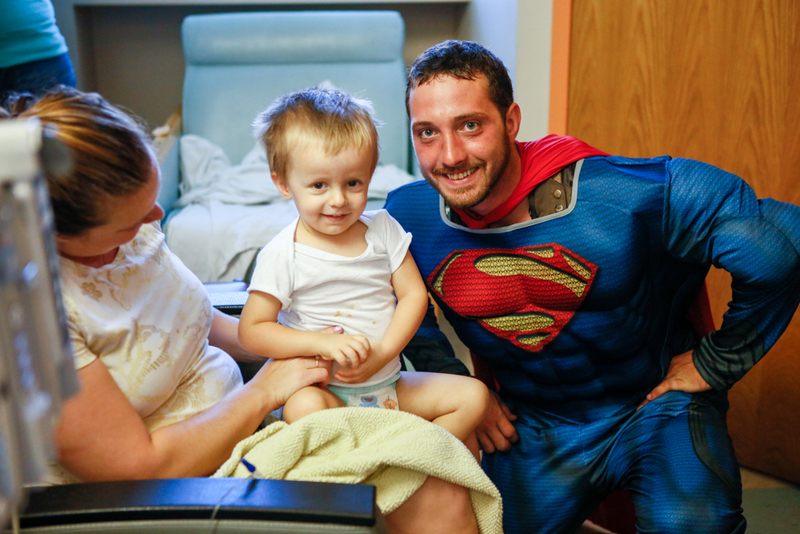 Throughout their visit, they shared gift bags with children and gift cards with their parents, compliments of Bilo’s Bar and Grill, Professional Roofing Service, The Cappy Family and Suntrol Glass Enhancing Films. 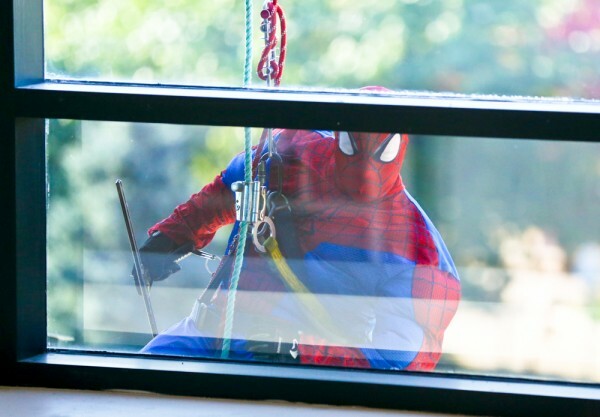 When these 11 superheroes aren’t swooping down to fight grime, they serve as mild-mannered employees of American National Skyline, Inc., generously donating their time to help our patients have a super day. While we can’t thank them enough, we’ve listed them below (including their secret identities, oops).